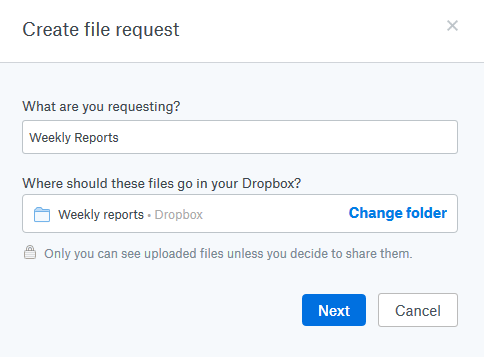 Dropbox has a useful feature by which you can request files from others that don’t have an account there. 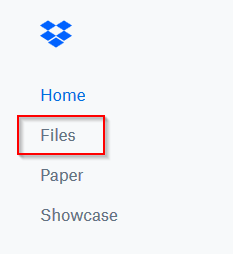 Login to Dropbox and choose Files. Then click on File requests. Choose Create a file request. Enter the subject line, by default a folder of the name File requests will also be created. 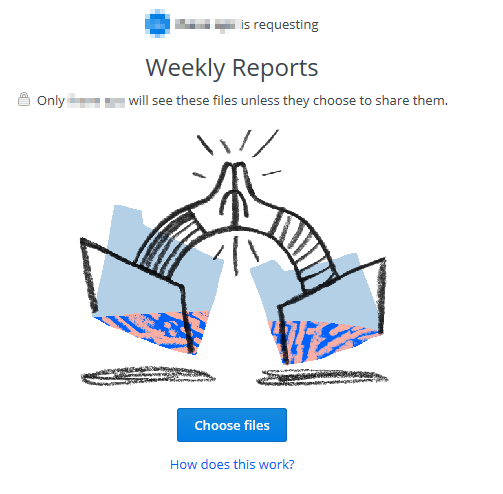 All the requested files uploaded will now be stored there. 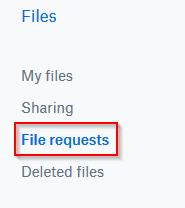 You can also change the folder where these files will be uploaded if needed. Then click Next. A public link will be created. Copy that to share it with non Dropbox contacts. Alternatively, you can also add their email. Click Done. 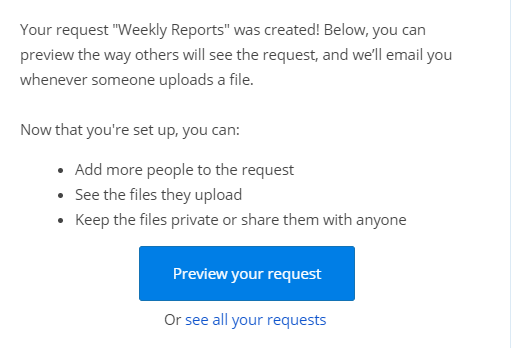 Once the request is generated, the requester will be automatically notified through email about it. You can then preview it. 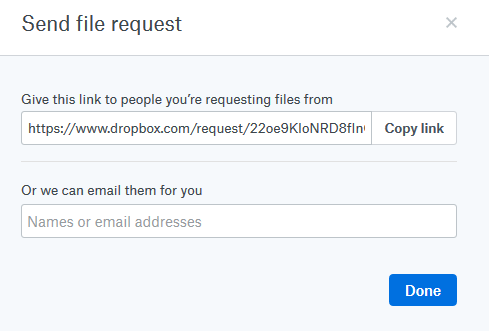 When the request link is opened by recipient, Dropbox will display the file request details. To upload files, click Choose files. Enter the first/last name and email address. 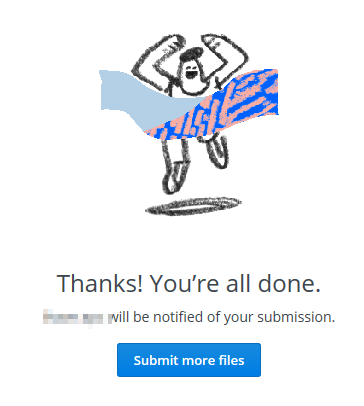 You can also upload more files if needed by clicking on Submit more files. 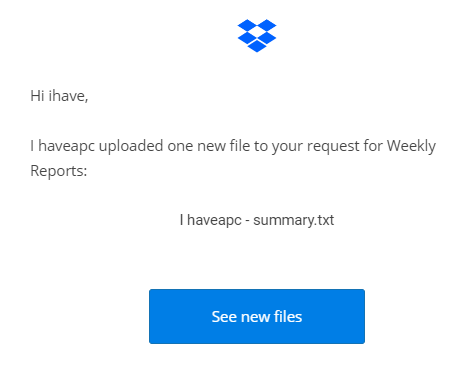 The file requester will now receive an email notification about the uploaded files. 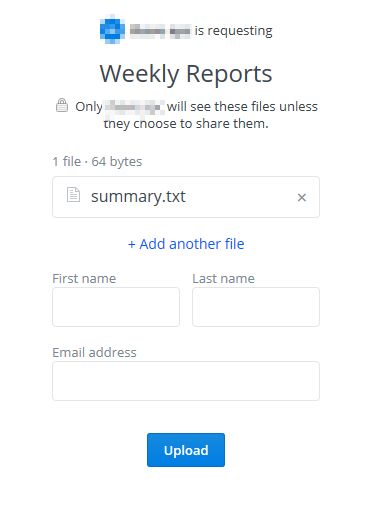 These can then directly be viewed by logging into Dropbox account.